"Unbreakable": Building the resilience of the poor in the face of natural disasters. Webinar with Stephane Hallegate (58 min). 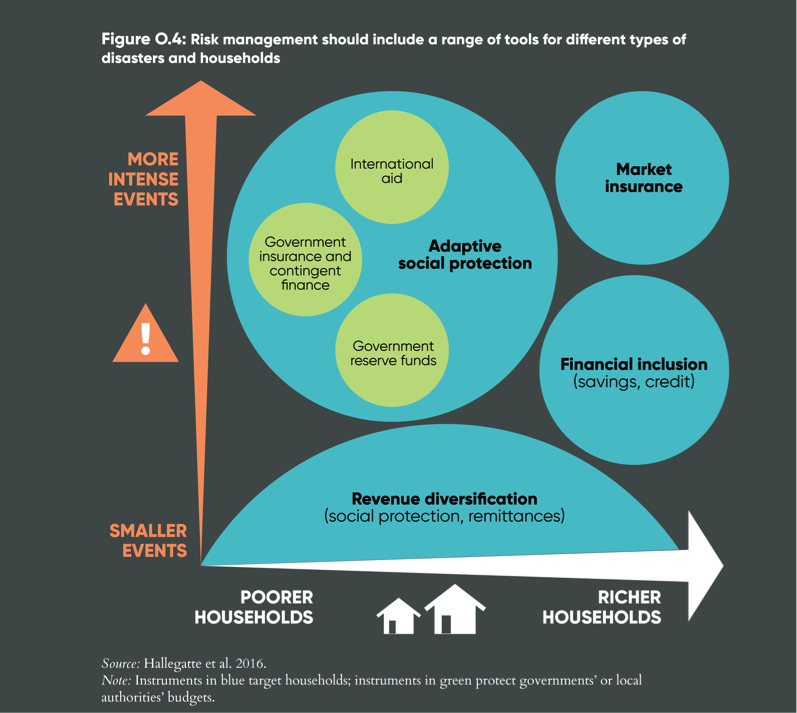 Because natural disasters tighten poverty’s grip on communities worldwide, disaster risk reduction goes hand in hand with poverty reduction, and vice versa. A new World Bank report finds the impact of extreme weather on poverty is more devastating than previously understood, responsible for annual consumption losses of $520 billion and pushing 26 million people into poverty every year. Targeted resilience-building interventions protect poor people from adverse weather events and can help countries and communities save $100 billion a year. This webinar focuses on the key findings of the new report released by the World Bank and the Global Facility for Disaster Reduction and Recovery (GFDRR) Unbreakable: Building the Resilience of the Poor in the Face of Natural Disasters. In the webinar (video above) Stephane Hallegatte breaks the link between extreme weather and extreme poverty, which underscores the urgency for climate-smart policies that better protect the world’s most vulnerable. This webinar was originally held on the 14th March 3-4pm (CET). All were welcome to join.